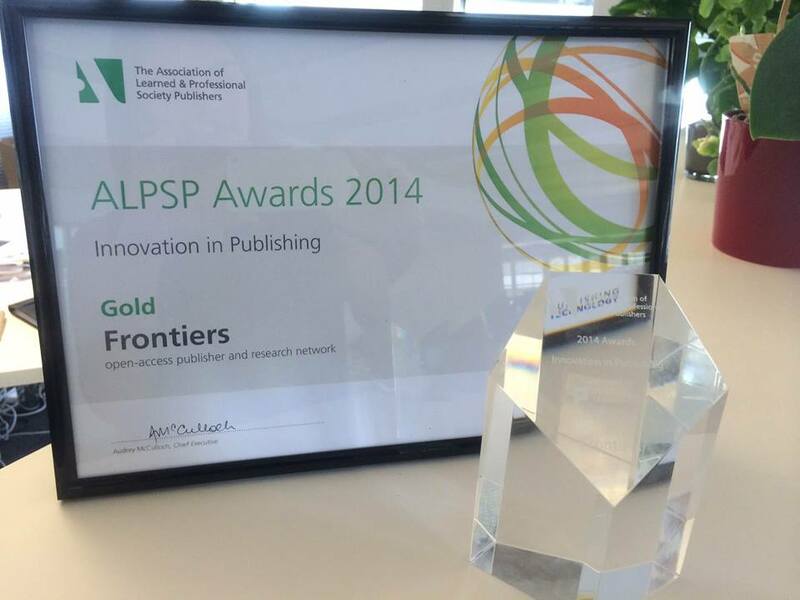 Frontiers has won the ALPSP Innovation in Publishing Award in recognition of its innovative Open-Science platform that provides open-access academic publishing and research networking for scientists. The prestigious award, issued by the Association of Learned and Professional Society Publishers (ALPSP), acknowledges the best innovators in the scholarly publishing industry and Frontiers received the top Gold prize at the awards ceremony in London, UK, last week (Thursday, 11 September). Formed by a group of scientists in 2007, Frontiers empowers academic communities to take scholarly publishing into their own hands and provides innovative solutions on how science is reviewed, published, evaluated, communicated and disseminated to both academics as well as the general public. The Frontiers Collaborative Peer Review facilitates a fair, fast, rigorous and transparent review and takes place in an online Review Forum that enables reviewers and authors to interact directly in real-time. Over 24,000 high-quality peer-reviewed articles have been published using this innovative model. Almost 50 community-run open-access STM journals are included in the “Frontiers in” series and all editorial decisions are made by leading academics. The judges praised Frontiers for its innovative application of web technologies to radically improve peer review “by bringing authors and reviewers together in discussion which in turn leads to better content, speedier review process and increased transparency”. Other Frontiers innovations include uniquely detailed author and article-level metrics, post-publication review, democratic research evaluation and Frontiers for Young Minds, a science journal for young people. The Frontiers Research Network is a social networking platform that consists of over 160,000 leading scientists, clinicians and engineers, and enables networking, collaborations and boosts profile and publication views. 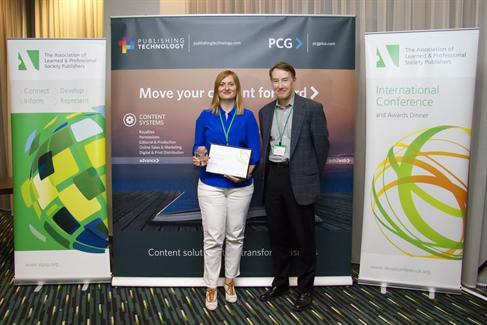 The Silver prize was awarded to IOP ebooks from IOP Publishing and JournalGuide from Research Square received a Bronze award. “No innovation is without risk and this year’s winners reflect the exciting level of boldness, innovation and development within our industry,” said David Sommer, Chair of the ALPSP Awards Panel. Other publishing innovators shortlisted for the award this year, include bioRxiv, Edifix, IOP ebooks, JournalGuide, ReadCube Connect. Previous winners include PLOS ONE and Peer J.